Jeffrey Lee "Jeff" Probst (born November 4, 1962) is an American game show host, executive producer and reporter. He was born in Wichita, Kansas, but mostly grew up in Bellevue, Washington. He is best known for being the host of the American version of the reality show Survivor. 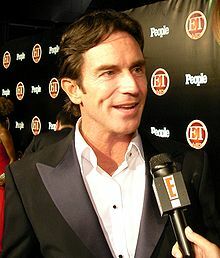 On September 21, 2008 Probst won the first Primetime Emmy Award for Outstanding Host for a Reality or Reality-Competition Program. On September 20, 2009 he won the same award again. Probst currently hosts the talk show The Jeff Probst Show, which started on September 10, 2012. This page was last changed on 22 November 2018, at 08:09.